B&W confirms AirPlay 2 won't be coming to its existing wireless speakers | What Hi-Fi? B&W has launched some excellent AirPlay speakers over the years, including the Zeppellin Wireless (pictured above), the A5, and A7, but they won't be able to support any of the features contained within AirPlay 2. Announced at Apple's WWDC conference, AirPlay 2 is the latest version of the company's streaming technology and is built into Apple's iOS 11, tvOS11 and macOS 10.13 operating systems. It's Apple's multi-room solution, allowing you to connect compatible speakers from manufacturers signed up to support the technology. Other companies have already confirmed some of their AirPlay-compatible products will be updated to support AirPlay 2, such as Libratone's Zipp line. Naim's upcoming Uniti range will also support the update. "Existing Bowers & Wilkins AirPlay products will remain fully functional and will be fully compatible with source devices running iOS 11. 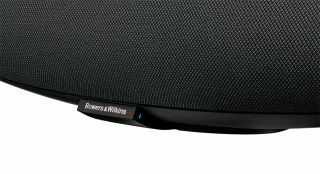 Bowers & Wilkins are excited to be development partners for AirPlay 2 and will be launching new products at a later date which will allow users to access the new features incorporated into AirPlay 2." Whether this means a brand new Zeppelin remains to be seen, but it will be the first range of wireless speakers launched by the company since it was sold to Eva Automation in May 2016.